Wuqing is a station unique in the network. It was the first intermediate station in the world to serve trains actually running at 350 km/h. It's been expanded across the years, and is now in the midst of a mile of high-rises. And there are many Wuqings across China, all thanks to the rail revival. You really have to time this very well. We're just getting started at Wuqing Railway Station, where we're talking about China's very first railway station — in fact the very first railway station opened anywhere in the world to trains actually running at 350 km/h. Timed this right on time here at the rail move here in Wuqing. Halfway through Beijing and Tianjin, Wuqing may have been the world's first fastest station, so to speak. And the station, which at first was in the middle of nowhere, is now in the midst of almost a mile of high-rises and shopping centers, all thanks to the arrival of High Speed Rail. Wuqing Railway Station is not too alien to me because my very first train in China back in 2008 actually called at Wuqing, but 10 years ago, pretty much there was nothing around the station. Around ten years back, the station was certainly much smaller, and thus a bit more cramped, with everything conveniently in one hall, until there were too many commuters. So Wuqing Railway Station opened 10 years ago, but we didn't have this — well, I mean we did have a station building, but it was not exactly that very building at the back. It was a bit smaller. We didn't really expect for patronage to really explode, and yes, since opening a shopping center like about 5 years ago, we have seen patronage go right through the roof — a situation repeated across Northern China, across the whole country in fact. What you're here is the old picture of Tangshan North Railway Station around 2011, and what you're seeing right now is the expansion that was just completed a few years back — across the country, we are seeing more patronage, and as a result, we're seeing stations get bigger, and certainly, it's felt here at Wuqing station. And it's not just Northern China. This here is Huangshan North Railway Station, in Anhui, close to Central China. 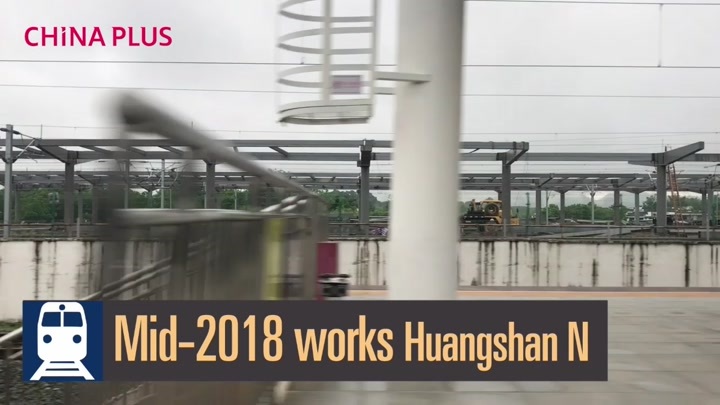 And this is the extension to that very same station and the platforms for a new line from Huangshan to Hangzhou, an addition made probably only around 3 years after this very station first opened at all, a phenomenon repeated across the network where stations in the middle of nowhere become hubs in their own right. The word “futureproof” is very visible in all plans on the national high speed network. Faster speeds mean more riders, and with that, more demand at stations and across the nation. The rail move continues even here in Wuqing, where, of course, super-fast trains are a new case... a new fact of life. That's it for a look at Wuqing station and we're building out from stations that have very low patronage to those that are part of the major cities. We've seen the same happen around North China, East China, South China. It's a phenomenon we're going to be seeing way into the future and hopefully, at a station close to you. I'll see you at the next station.